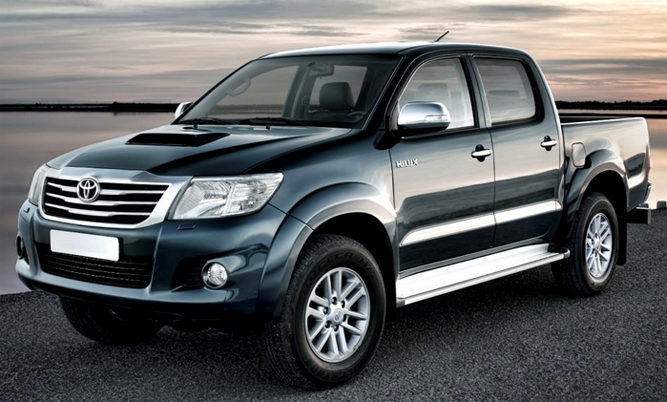 The tough all new Toyota Hilux has won the hearts of many car enthusiasts thanks to its improved features. The new model has been designed to make it not only durable, but highly versatile as well. Toyota has carefully considered every detail right from body choice, engines and accessories to make sure that Australia’s toughest car is also Australia’s most handy car. The new model is offered in Single, Extra and Dual cab and either in 4WD and 2WD forms. The latest model has retained almost all the qualities of its predecessors. The design changes are very minimal, and the main change is the new grill. Toyota engineers have worked tirelessly to improve its driving experience. Suspension system is much better as it minimizes noise and vibration. Apart from these features, the new model 4wd has a towing capacity of up to 2500 kg. It should be noted that Toyota has applied European steering box rather than the Japanese steering box. All of these latest updates apply to both Single and Extra Cab models. Inside, the 2014 model features a new 6.1-inch screen and bright interior colors. Cabin entry is aided by grab-handles and side-steps, and when inside the occupants cloth-upholstered, form-hugging seats provide great comfort. The sizeable side windows afford outstanding vision, though the view to the back is restricted. The door side pockets are not huge and the glovebox is a bit small. However, there is a decent storage bin, overhead sunglasses storage, slide-out front cup holders, and a range of nooks for valuables. Toyota strives to manufacture cars to match customer interest and therefore they usually are built with cutting edge technologies to suit your taste. The 2014 model is packed with modern technologies that make it not only a sturdy, uncompromising ute but also a highly versatile machine. 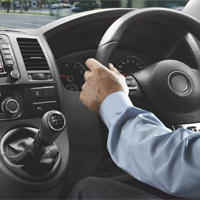 The 2014 model features power mirrors and windows, cruise control, basic air-con, steering wheel controls, Bluetooth for audio streaming and USB ports for selected devices. While HiLux is considered to be unbreakable workhorse, it is surprisingly comfortable, with everything installed exactly where you want it. Back-seat occupants get a comfortable seat, decent legroom, three-point seat-belts as well as a fold-out dual cup-holder. The driver’s seat is electrically adjustable, fully clad in comfortable leather and has a great lumbar support. Back seats offer great comfort and the seat squab is deeper. There is plenty of shoulder, knee, foot, as well as head room. Over the years, HiLux has earned its reputation through a combination of reliability and stability. With the choice of 3 powerful engines–3.0-litre Turbo Diesel engine, the 2.7-litre petrol engine and 4.0-litre V6 petrol engine. There is a special price available for the HiLux SR5 4×4 Double Cab Turbo Diesel Automatic. This for the Non-Metallic Paint version and the Toyota HiLux 4×4 SR5 Double Cab in Glacier White starting from $49,990 drive away. One can rely on it to execute any work even when heavily loaded. HiLux is renowned throughout Australia and its performance and towing capacity will be welcomed by a broad range of users including adventurous families, farmers, miners, and other businesspeople that are in need of a tough, reliable Ute. Toyota Hilux is a tough, highly competent, smooth riding and popular Ute. That’s evident by the fact that it outsells all Utes on the market. This should give you confidence in its ability to offer great comfort, even in complicated Australian terrains.